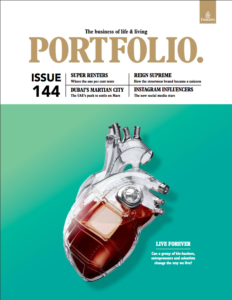 Passengers flying in Emirates airline’s lux first class not only get their own private on-board suite, non-stop wining and dining, and the option of an in-flight shower, they’re also treated to a dedicated in-flight magazine, Portfolio. For the December 2017 issue of the business- and lifestyle-focused magazine, I wrote a feature story about Berlin’s most celebrated dining opening of the year, Ernst. The 24-year-old culinary wunderkind behind the endeavour, Dylan Watson-Brawn, adopted an unconventional business model for his restaurant that fits with his uncompromising culinary vision. This liquidity enables him to continually invest in the asset he values the most: pristine, seasonal produce, the very best money can buy. Click here to read the full story (PDF opens in new tab).